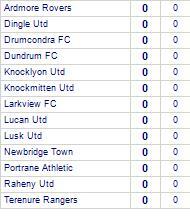 Landen Utd take spoils against Dundrum FC. 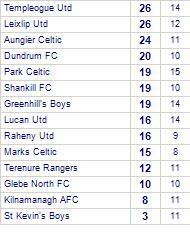 Frankfort Fc claim victory against Cabinteely FC. 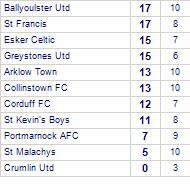 Esker Celtic take spoils against St Francis. 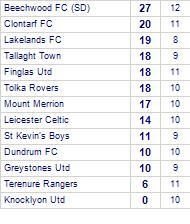 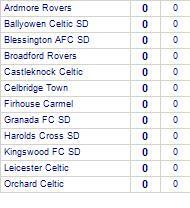 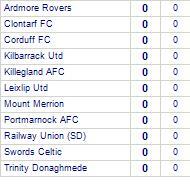 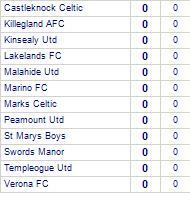 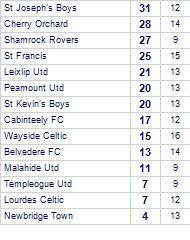 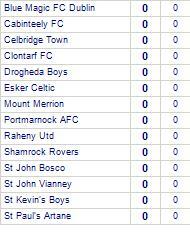 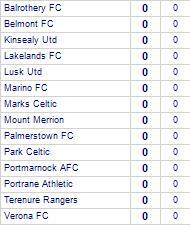 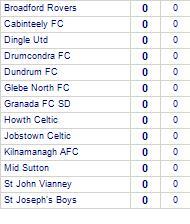 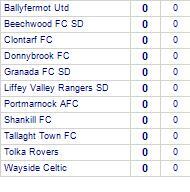 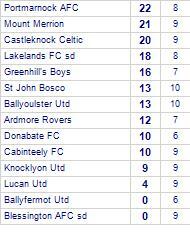 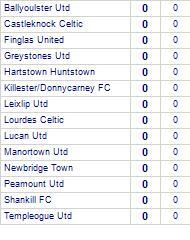 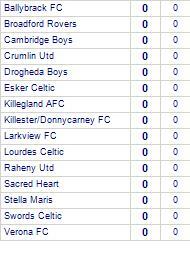 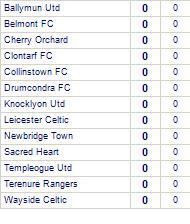 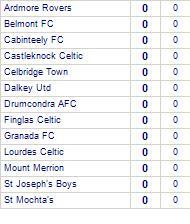 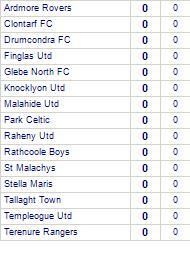 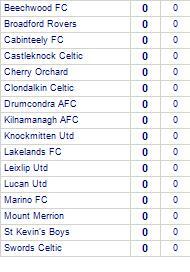 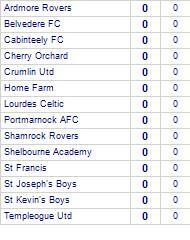 Esker Celtic has yet to be beaten in this competition, having won 4 out of its last 6 games.